Welcome to Auto Body & Paint in San Marcos! Did you back into a pole and scratch the paint on your car? Did a shopping cart hit your truck? Or do you just want your vehicle to stand out from the crowd? CID Auto Body & Paint specializes in auto body paint jobs. We can match any color from the car manufacturer or customer color whatever you wish for your vehicle. 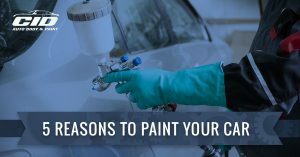 If you need auto body paint as part of a collision repair, we’re more than happy to handle the arrangements with your insurance provider. We’ll work quickly and efficiently to get your car back in your hands as soon as possible. 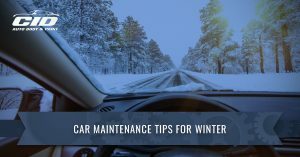 CID Auto Body & Paint understands what it’s like to not have your own vehicle. Our friendly and courteous auto body paint technicians do our best to do an amazing job quickly. Contact us today for all of your auto body paint needs!